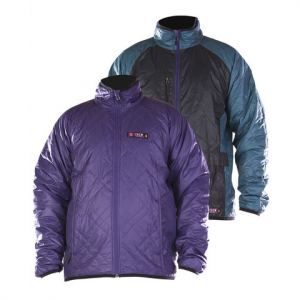 The Trew Polar Shift No Hood Jacket is an insulated base layer jacket that can stand alone when precipitation is light and temperatures dropping. Mapped with PrimaLoft insulation and constructed with 15D double rip-stop nylon fabric, winter's polar shift no longer has an ill affect on the outcome of your day. Layer this Trew Polar Shift under any number of their waterproof shells for absolute comfort and weather protection.